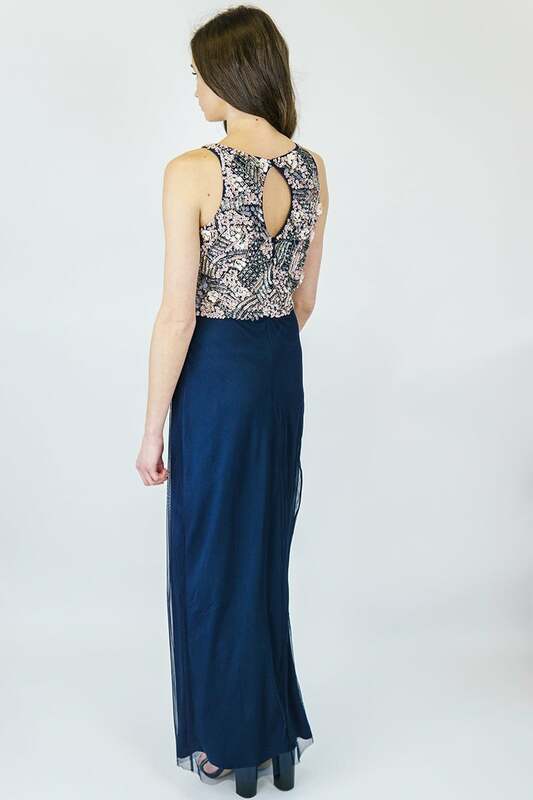 A chic, cute and girly gown perfect for any occasion this Spring/Summer! We are seriously crushing over this super cute navy embellished tulle gown! Is would be the perfect dress for a glam summer wedding, an alternative bridesmaids gown or a fabulous dress for a debs! Style this super cute and chic tulle, embellished dress with one of our glittering clutch bags and a funky pair of heels for the perfect Spring / Summer look!